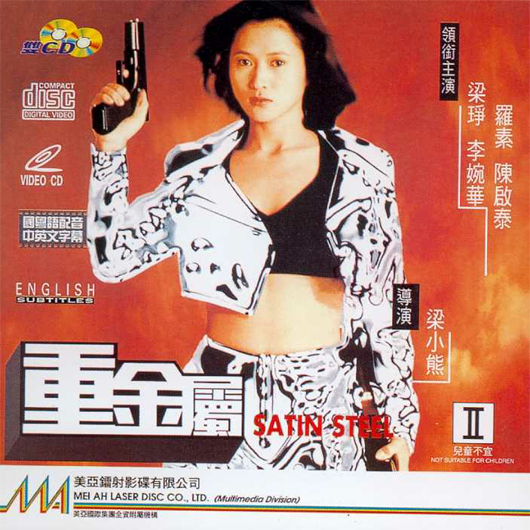 We tracked down Satin Steel because it is directed by a man named Siu-Hung Leung, who directed fan favorite Superfights (1995), as well as Bloodmoon (1997), so we wanted to see more, especially from his earlier Hong Kong period. Satin Steel has been described by others as a female Lethal Weapon (1987), but Lethal Weapon didn’t have the cartoonish, at times wacky vibe (note the muzzle flashes, which essentially are cartoons). Naturally, that fun, high-energy HK style is on display most of the time. Not that it doesn’t flag at a couple of points, but that’s only natural. Jade Leung and Anita Lee make a great team, and this was only the first movie Leung had been in after debuting with Black Cat (1991) and Black Cat 2 (1992). Hon-Kam Lee delivers a rockin’ theme tune and his music helps things along well. The fact that the movie overall is well-shot, with interesting locations, has plenty of Martial Arts action, blow-ups, and top-quality stuntwork, as well as silly humor, not to mention the beautiful and talented leads, mean Satin Steel is never anything less than entertaining. It even includes a classic workout montage. 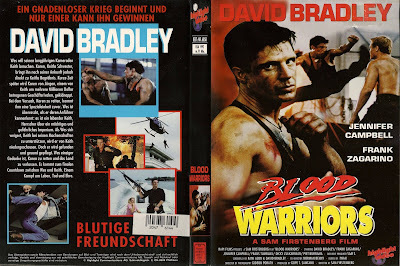 The film stands on its own as a HK action outing, produced during a time (the 90’s) when it seemed Hong Kong was really cranking them out. 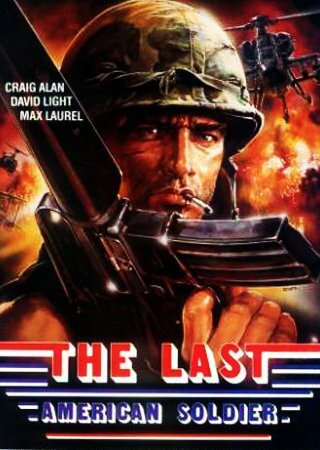 Not that they didn’t produce some of the greatest action of all time, but there were so many, some tended to get lost in the shuffle. At least today, we can shine a light on Satin Steel and give it some love. 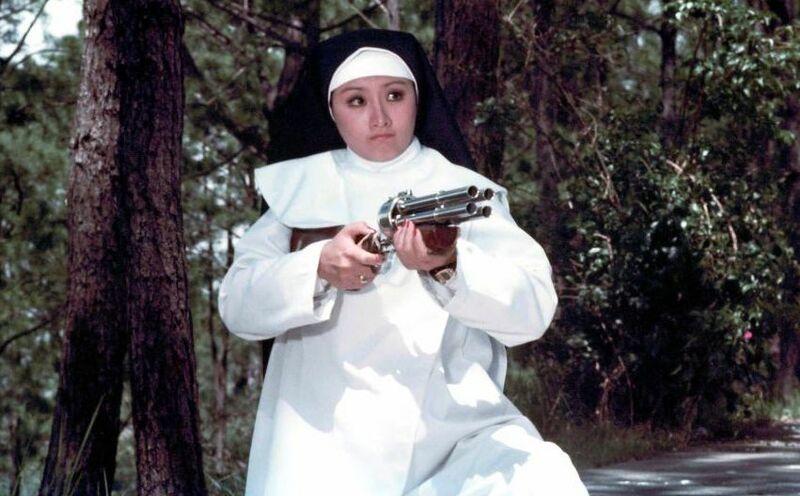 Hong Kong action fans, especially those who love female protagonists, will no doubt be very interested in Satin Steel. 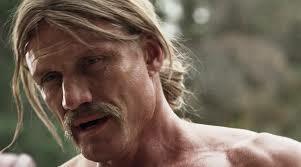 Jack Holloway (Dolph) truly has it all. As a proud member of the U.S. Air Force, he gets to live his dream of flying a radical stealth bomber called the Storm Catcher, serving under General William Jacobs (Miano). When he’s not off going Mach 3 Turbo before it was a shaving razor, he spends time with his loving wife Jessica (Bax), and as a devoted football coach to a girls little league team featuring his daughter Nicole (Zima). However, the skies become less than friendly when someone dressed as Holloway kills a bunch of people, and, naturally, Holloway becomes the prime suspect. Breaking out of custody, Holloway and his buddy Captain “Sparks” Johnson (Clark) try to clear his name. But things get really real when Jessica is assaulted and Nicole is kidnapped. Realizing he’s in a race against time against an evil cabal of baddies intent on misusing the Storm Catcher for their own evil ends, will Holloway be able to stop the madness? Storm Catcher is really a lot better than you probably think it is. Sure, it seems like another plane/guys-sitting-at-radar-monitors-giving-coordinates slog, and, to be fair, there are elements of that scourge of the later 90’s, but it manages to rise above the others, much like Holloway’s beloved stealth bomber. It’s certainly better than Freedom Strike (1998), and that had Tone-Loc. TONE-LOC. So there was a lot to prove. Out of the movies from the “Dolph hitting the skids” period of his career, this one is the best. 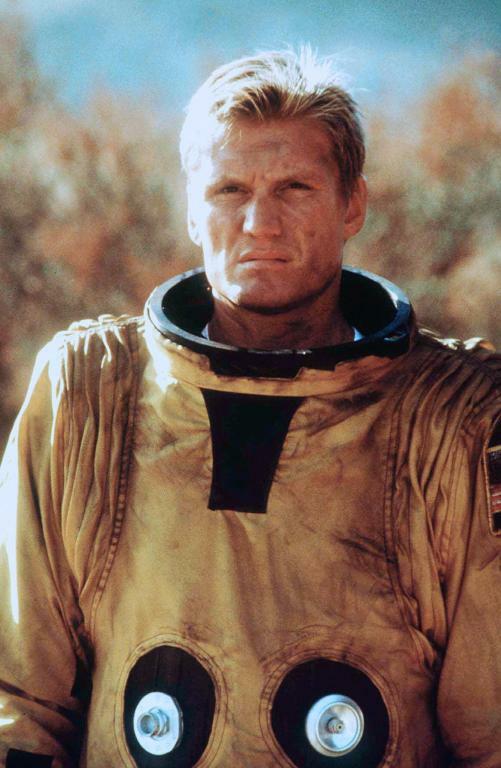 Unfortunately, things would sink back down after this brief high (no plane puns intended) when Dolph re-teamed with director Hickox the next year for the dreary Jill the Ripper (2000). So enjoy the small pleasures of Storm Catcher while they last, and there is plenty to enjoy here. We see what the movie was trying to do. 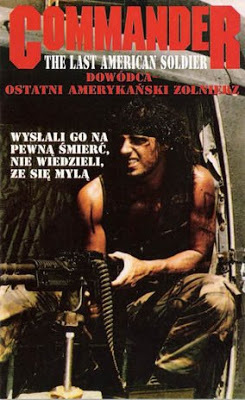 It was trying to go for that “theater-ready” vibe, what with the big-sounding score, the fact that it was shot well, and it includes some prescient dialogue that seems to apply more to today’s political situation than ever before. It even includes some classic action bits like people running away from an explosion, and plenty of people get shot/beat up/blown up. But no matter how hard they may have tried, alas, it was destined for the video store shelf. Hickox never seemed to accept that he was a DTV director; at least for the first half of his career, notably with Full Eclipse (1993), he certainly tried to imbue his films with a professional, mainstream feel. Dolph probably liked his role as Holloway because he got to be the action hero as always, but he showed a sensitive side with the little league football scenes. Our guess is he would jump at the chance to do a Ladybugs (1992)-type movie, because he likes showing he’s more than just an action guy. That will probably never happen in our overly-PC world, where kids are discouraged from football, especially girls, and especially with no helmets. 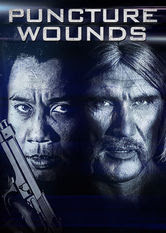 Dolph was probably miffed that footage from this movie was nonsensically and lazily edited into the abomination that was Agent Red (2000). 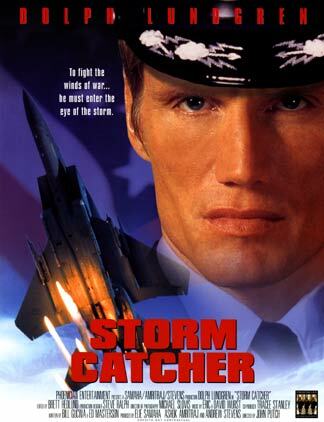 Robert Miano again proves he’s one of the more underrated actors out there, and the Storm Catcher plane is so technologically advanced, you can voice-text things you want to say (much like the Dragon program whose ads are constantly on TV), and it has minidisc abilities. It would probably be nothing without its minidisc player. Once again, Dolph delivers the goods against all odds. Feel free to catch this storm tonight. 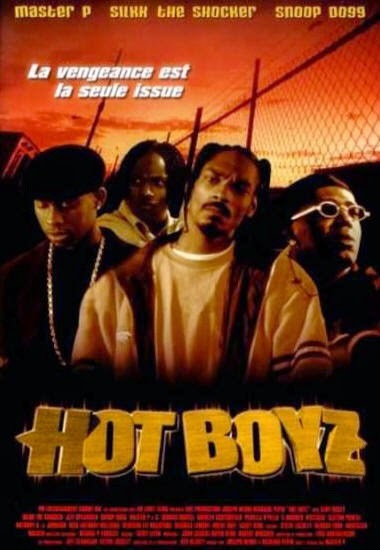 Hot Boyz is the sad and tragic tale of Kool (Tha Shocker) and his homies (not something gay as you might reasonably expect). Kool is an aspiring rapper who is probably still aspiring because he can’t come up with a better name for himself than Kool. He and girlfriend LaShawna (Crutchfield) are in love, despite the protestations of her mother, who disapproves of Kool’s homie-ing ways. One night while walking down a dark alley (always a bad idea, especially in the ‘hood), LaShawna witnesses a murder and is then accused of it and thrown in jail. It turns out she stumbled into a network of fully corrupt cops like Officer Mack (Huff) to pretty corrupt cops like Det. Tully (Busey) to not-that-corrupt cops like Officer Roberts (Howell). While fighting for LaShawna’s release, Tully convinces Kool to infiltrate the criminal organization run by Saint (Powell). 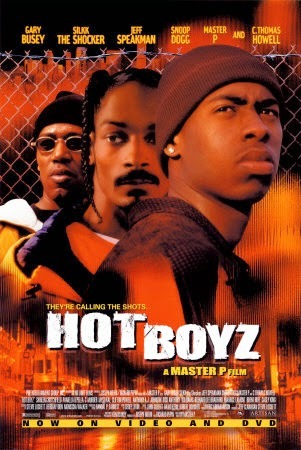 But when things take a turn for the worst, Kool and his homeboys C-Dawg (Snoop Dogg, stretching), Moe (Master P), Remo (C-Murder), Tyrel (Mystikal), and Pee Wee (Johnson) suddenly become crime lords in their own right. Will all this gangsta-ism lead to a bad end for Kool and/or the gang? Also Jeff Speakman is Kool’s Kenpo teacher. Kool takes Kenpo lessons. Here is your classic example of what we call the “homie movie”, but because it’s also a PM movie, it has C. Thomas Howell, Gary Busey, Brent Huff and Jeff Speakman in non-homie roles. 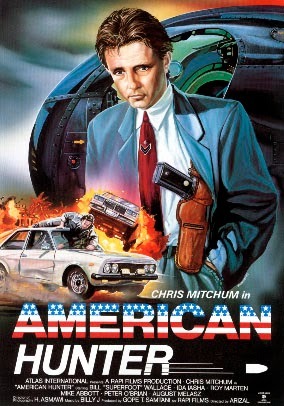 And also a bunch of shooting, car chases, and other PM hallmarks. In between most scenes there is an aerial shot of L.A. while some No Limit rapper lays down his poppin’ fresh rhymes. 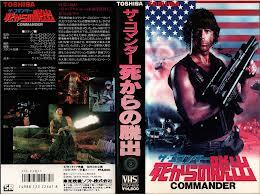 And behind scenes of C. Thomas Howell or Gary Busey talking, there are yet more rap beats. And of course, during any chase scenes, more rapping can be heard. Pretty much every homie movie cliche is out in force: barbecue parties (where Snoop doles out potato salad), bouncing cars, basketball games, evil whiteys (especially cops), and young ghetto-dwellers dreaming of escaping using the time-honored methods of drugs and violence. I guess it’s what you’d call “Master P’s Theatre”(groan). Sure, you feel every aspect of its low-budget, but certain personalities shine through. Clifton Powell and Shireen Crutchfield stand out as the baddie and Kool’s inexplicably devoted girlfriend, respectively. And you’ve got to respect Snoop - he remains one mellow cat at ALL times, whether hangin’ with his homeboys or shooting a bunch of people in a (wildly extended) shootout. For this reason, he comes off as highly naturalistic, especially compared to his screen-mates such as Mr. Tha Shocker, who is clearly trying, but in a way that suggests a child trying to fit their little feet into their parents’ shoes. 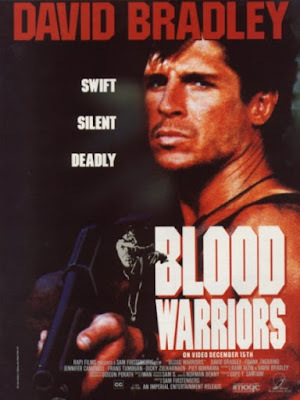 As for the fan favorites, Howell doesn’t do all that much, Huff is one-dimensionally evil, Speakman’s role is largely unnecessary to the plot (although it was welcome and we wished there was more of him) and Busey is Busey. Busey is no stranger to the ‘hood, having also been in Down ‘n Dirty (2001) and On the Edge (2002). It almost goes without saying, but Scarface (1983) seems to be a natural jumping-off point, at least for the second half of the movie, where the “Hot Boyz” are born and form their own criminal empire. When Kool earns his black belt, Master Keaton (Speakman) says to him “now you’re a man”, and later, Saint congratulates him on going from a boy to a man. The movie also could have been called “Bar MitzvahZ”. 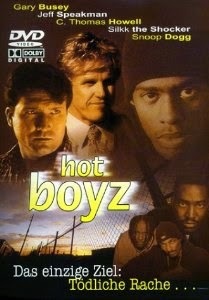 But we don’t think you’re supposed to think about it all that much, just get your own group of “Hot Boyz” together, pour out a 40 for your dead homiez, and pop in the DVD. If this is your thing at all, you’ll be in homie heaven. Also check out write-ups from our buddies, DTVC, The Video Vacuum, and The Unknown Movies!